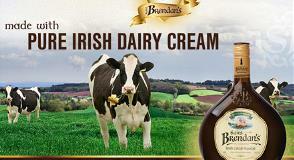 St. Patrick’s day offers an opportunity to boost on- and off-premise placements for our Saint Brendan’s Irish Cream. See this Sales PPT for more information. Also attached is the order form for off-premise items. ***Please contact Laura Bogart with any comments or questions.